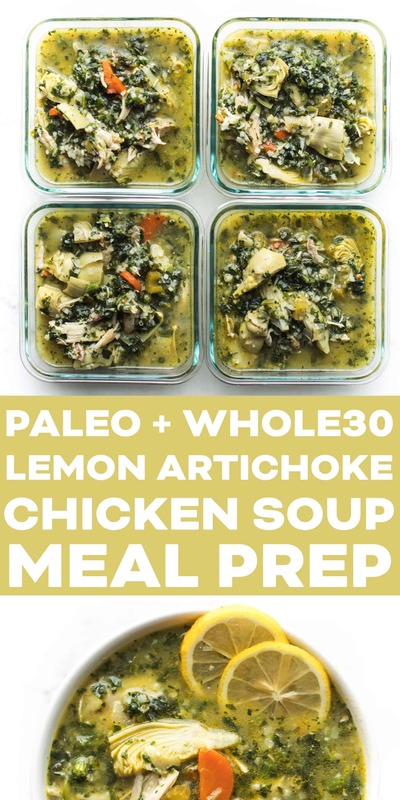 Paleo + Whole30 Lemon Artichoke Chicken Soup Recipe – a healthy and delicious dinner, lunch or meal prep! Uses frozen vegetables to make this super simple. Gluten free, grain free, dairy free, sugar free, sugar free, clean eating, real food. 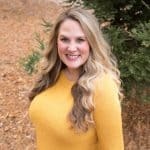 When I did my Whole30 shopping guide for Costco and Trader Joe’s, I discovered there are so many great vegetables in the freezer section. 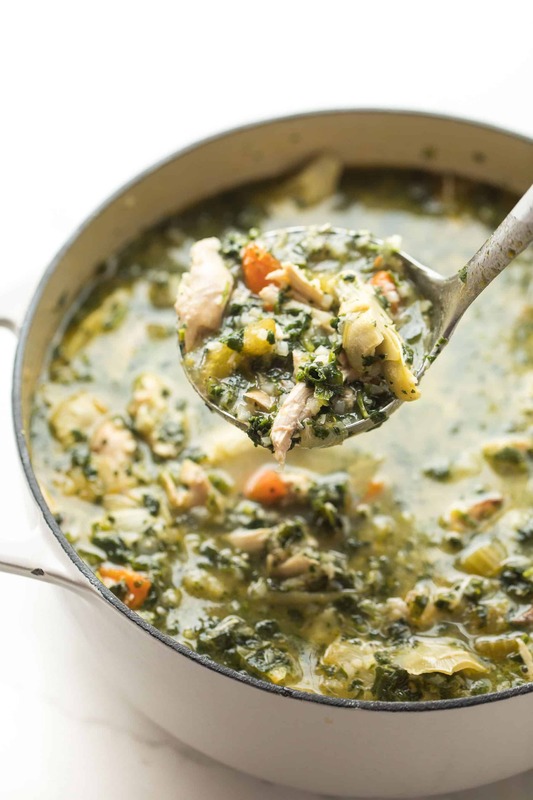 Frozen vegetables are ideal for soups because they’re frozen at the peak of freshness. They’re going to get cooked down anyway, so it’s ok that they’re a little mushy to start with. Plus, you don’t have to worry about BPA in cans. Even better? No chopping required! 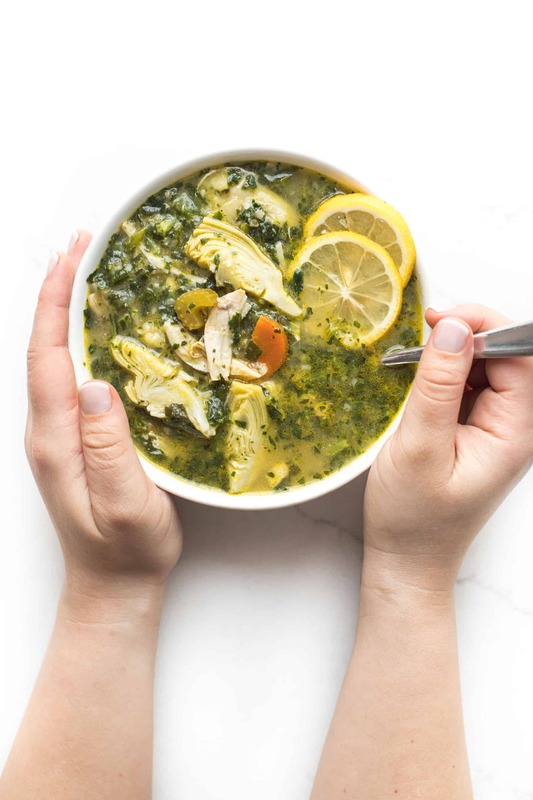 This lemon artichoke chicken soup is almost all frozen vegetables. It takes just 5 minutes of prep to chop the carrot, celery and onion. But hey! You could maybe get those frozen too! 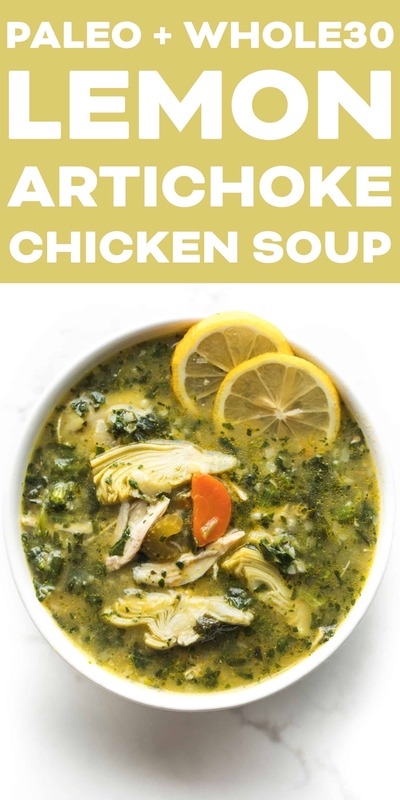 Add in chicken and chicken stock, simmer, then dump in your frozen artichoke hearts, chopped spinach and cauliflower rice. Stir in lemon zest and lemon juice. 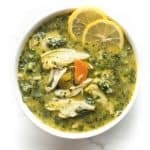 Soup is ready! 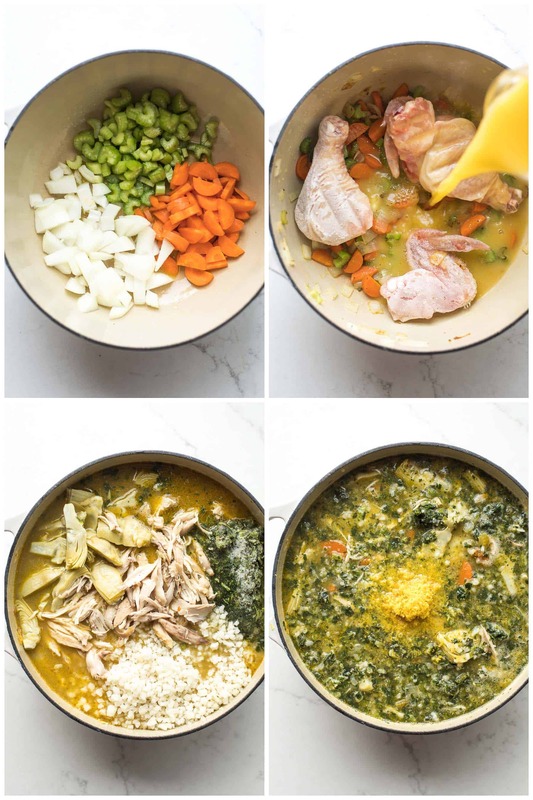 Another favorite thing is using chicken drumsticks in chicken soup. They give the soup a ton more chicken flavor thanks to the bones and dark meat. They’re a more economical cut too. 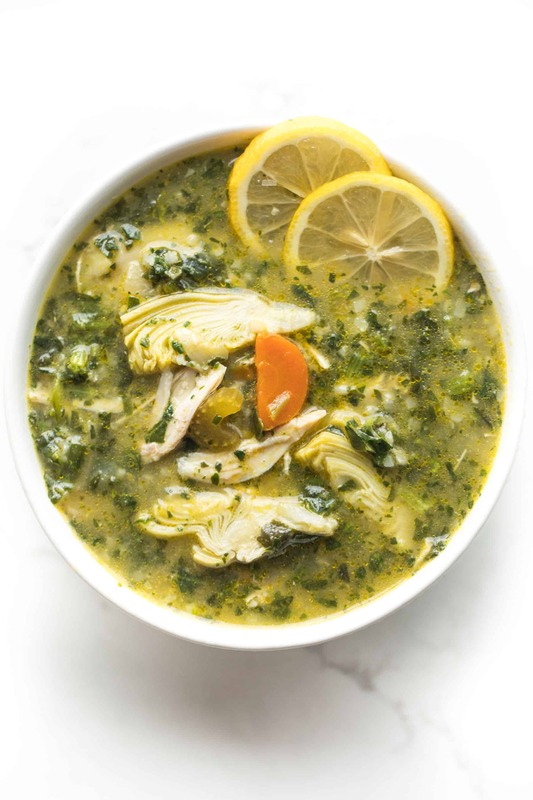 This lemon artichoke chicken soup is perfect for meal prep as a lunch or dinner! 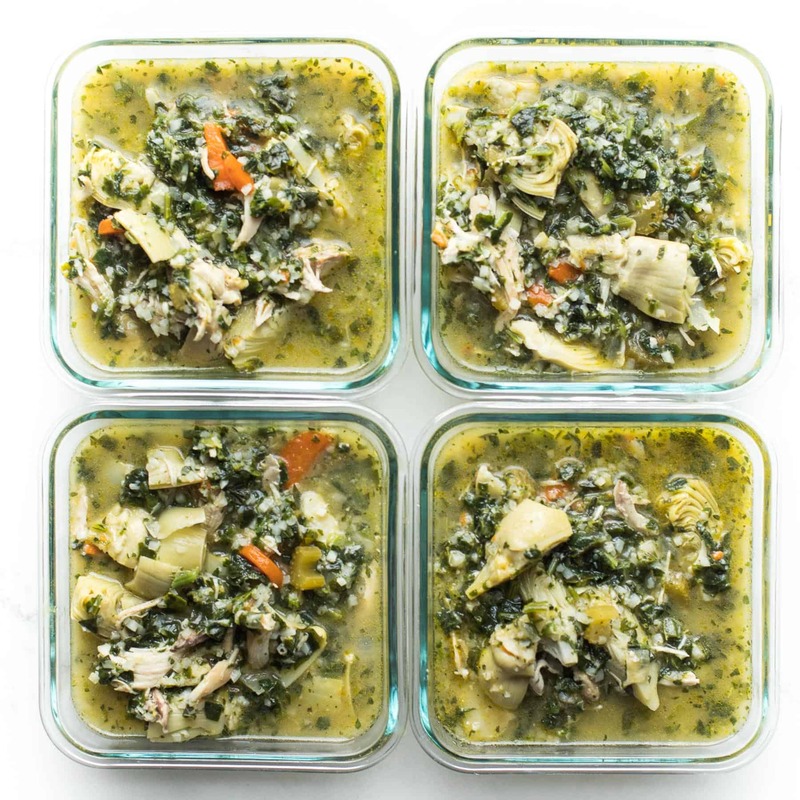 See recipe notes for meal prep instructions. And couldn’t be healthier. Paleo, whole30, gluten free, grain free, dairy free, sugar free, clean eating, real food.